Most affected cats do not show clinical signs; some show excessive salivation/drooling (known as “hypersalivation”); bleeding from the mouth or difficulty chewing; some cats pick up and drop food (especially hard food) when eating; others hiss while chewing. Medications should not be used as the primary method to control inflammation of the mouth and throat (oropharyngeal inflammation) in cats. Trauma to the tooth may involve fracture of any part of the tooth. May involve the crown and root of the affected tooth; the crown of the tooth is the portion of the tooth that is above the gum that is covered by enamel; the root of the tooth is the part of the tooth below the gum line that is covered by cementum to attach the tooth to the bone of the jaw. Classified as “uncomplicated” if the fracture does not enter the internal part of the tooth containing the blood vessels and nerves (known as the “pulp”) and “complicated” if the fracture enters the pulp. Both dogs and cats can fracture their teeth, although this is slightly more common in dogs. Clinical loss of tooth-crown substance; may affect enamel only, or enamel and dentin; the enamel is the hard, shiny white material covering the crown of the tooth; the dentin makes up the bulk of the tooth structure. Uncomplicated fractures with the fracture line close to the pulp (the internal part of the tooth, containing the blood vessels and nerves)—pale pink pulp is visible through the dentin; gentle exploring will not allow the explorer into the pulp cavity. The recent or fresh complicated fracture is associated with bleeding from the pulp. Older fractures may exhibit a dead pulp; clinically the pulp chamber is filled with dark material, and the tooth is often discolored. May occur at any point along the root surface; often in combination with fracture of the crown, although root fractures can occur without fracture of the crown. Root segments may remain aligned or may be displaced. Clinical signs indicating a possible root fracture include pain on closure of the mouth or during open-mouth breathing. Abnormal horizontal or vertical mobility of a tooth may raise suspicion of a root fracture. Generally the result of a traumatic incident (such as a road traffic accident, blunt blow to the face, chewing on hard objects). Dental procedure by the veterinarian in which sharp edges are removed with a bur and the exposed dentin tubules are sealed with a suitable liner or restorative material. Require treatment of the internal part of the tooth containing the blood vessels and nerves, known as the “pulp”; such treatment is known as “endodontic therapy” and includes root canals and pulpotomy—if the tooth is to be maintained; otherwise, extraction is preferable to no treatment at all. Recent fracture in the mature tooth with the pulp still alive (vital)—two options exist, partial pulpectomy and direct pulp capping (vital pulpotomy) followed by restoration or conventional root-canal therapy and restoration. For partial pulpectomy and direct pulp capping to succeed, the procedure should be carried out within hours of the injury; the initial procedure may not be the final treatment—the tooth may require standard root-canal treatment later, if the pulp tissue dies. When the pulp already is inflamed chronically or is dead (known as “necrotic tissue”), standard root-canal therapy and restoration are the treatments of choice, if the tooth is periodontally sound. A living (vital) pulp is required for continued root development; as long as the pulp is alive (vital), the treatment of choice is partial pulpectomy and direct pulp capping, followed by restoration. If the pulp tissue is dead (necrotic), no further root development will occur; necrotic immature teeth need endodontic treatment to be maintained; remove the dead tissue and pack the root canal with calcium hydroxide paste; some continued root development and closure of the apex can be stimulated if this procedure is performed; change the calcium hydroxide every 6 months until the apex is closed at which time a standard root canal is performed. Immature teeth may be present in the mature pet, if trauma to the developing teeth caused death of the pulp; such teeth should be treated as “immature teeth”. Treatment of crown and root fractures depends on how far below the gum line the fracture line extends. If the fracture line does not involve the pulp (the internal part of the tooth, including the blood vessels and nerves) and does not extend more than 4–5 mm below the gum, restorative dentistry can be performed; if the fracture extends more than 5 mm below the gum and involves the pulp, the tooth usually should be extracted. In some cases, the fractured tooth root may heal, if the tooth can be stabilized; in other cases, extraction of the tooth may be necessary. A broad-spectrum antibiotic drug for 5–7 days may be indicated; for example, when long-standing infection is present. Check a partial pulpectomy and direct pulp-capping procedure with dental x-rays (radiographs) 6 and 12 months post-operatively, or at intervals determined by clinical signs, to detect death of the internal tissues of the tooth, including the blood vessels and nerves (pulp) and subsequent changes in the bone around the tips of the root, indicating the need for root-canal treatment. Check the outcome of conventional root-canal therapy by dental x-rays (radiographs) 6–12 months post-operatively; evidence of changes in the bone around the tips of the root at this time indicates the need for further treatment or extraction of the tooth; further treatment consists of redoing the root canal, often using surgical techniques. Check root fractures with dental x-rays (radiographs) 6–12 months post-operatively. Check uncomplicated fractures with dental x-rays (radiographs) at 4–6 months post-operatively. Avoid situations in which teeth are likely to be damaged; keep pet from chewing on hard objects, such as rocks. To avoid complications, institute treatment within hours of injury. Untreated pulpal exposure invariably leads to inflammation of the pulp (known as “pulpitis”) and eventual death of the pulp tissue and subsequent changes in the bone around the tips of the root. Vary with vitality of the pulp (the internal structure of the tooth, including the blood vessels and nerves), location of the fracture, and whether the tooth is mature or immature. Inflammation of the tissues around and supporting the tooth; the tooth support structures include the gum tissue (known as “gingiva”); the cementum and periodontal ligament (the cementum and periodontal ligament attach the tooth to the bone); and the alveolar bone (the bone that surrounds the roots of the tooth); periodontitis (inflammation/infection of the tissues around and supporting the tooth) indicates some degree of periodontal attachment tissue loss (that is, some loss of the structures [cementum, periodontal ligament, alveolar bone] that attach the tooth to the bone). The ultimate goal of periodontal therapy is to control plaque and prevent attachment loss; a willing pet and a client who can provide home care are important considerations in creating a treatment plan. Dry food or hard, biscuit-type foods are preferable to soft, sticky foods. Dental diets, such as Hill’s Prescription Diet t/d—specifically indicated to control plaque (the thin, “sticky” film that builds up on the teeth; composed of bacteria, white-blood cells, food particles, and components of saliva) and tartar or calculus (mineralized plaque on the tooth surface) in dogs and cats. The degree of periodontal disease determines recall interval; some pets are checked monthly, while others can be evaluated every 3–6 months. Professional dental cleaning and home care are essential for prevention of periodontal disease. 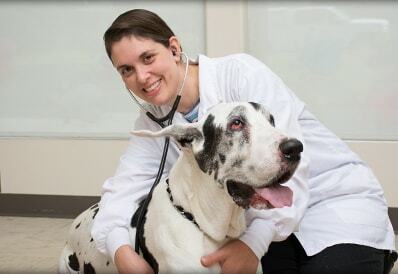 Your pet’s veterinarian will discuss home care and available products and will provide instructions for their use. Loss of teeth; loss of bone structure in lower jaw (mandible), leading to shortened lower jaw; tongue protruding from mouth. Generalized infection in the body. Possible heart, liver and/or kidney disease. The response of the individual pet and the expected course and prognosis are highly variable. Early diagnosis and appropriate treatment can minimize the destructive effects of this disease. Periodontal disease is the most common infectious disease in dogs and cats. Periodontal disease can lead to infection in other areas of the body and may cause heart, liver, and or kidney disease. Our staff will discuss home care and available products and will provide instructions for their use. Offensive odor coming from the mouth; bad breath (Brushing Your Pet’s Teeth). Small breeds and short-nosed, flat-faced breeds (known as “brachycephalic breeds”) are more prone to disease involving the mouth, because their teeth are closer together, and their owners tend to feed softer foods. Older pets are more likely to have bad breath (Brushing Your Pet’s Teeth) than are young pets. Bad breath or Brushing Your Pet’s Teeth is a sign itself. If due to oral disease, excessive salivation (known as “ptyalism”), with or without blood, may be seen; the pet may paw at the mouth; and lack of appetite (anorexia) may occur. In most cases, no clinical signs other than actual odor are observed. Disease of the mouth—infection of the gums and supporting tissues of the teeth (known as “periodontal disease”) and/or ulceration of the tissues of the mouth; inflammation of the throat or pharynx (known as “pharyngitis”); inflammation of the tonsils (known as “tonsillitis”); cancer; foreign bodies. Metabolic—diabetes mellitus (“sugar diabetes”), uremia (excess levels of urea and other nitrogenous waste products in the blood). Respiratory—inflammation of the nose or nasal passages (known as “rhinitis”); inflammation of the sinuses (known as “sinusitis”); cancer. Gastrointestinal—enlargement of the esophagus (the tube going from the throat to the stomach; condition known as “megaesophagus”); cancer; foreign body. Dietary—eating malodorous or offensive-smelling foodstuffs; eating feces or bowel movement (known as “coprophagy”). Trauma—electric-cord injury, open fractures, caustic agents. Diseases characterized by one or more masses or nodular lesions in the mouth containing a type of white-blood cell, called an eosinophil (known as “eosinophilic granuloma complex”). Once the specific cause of the bad breath (Brushing Your Pet’s Teeth) is known, direct therapy at correcting the cause; it is possible that multiple causes may be involved (for example, the pet may have infection of the gums and supporting tissues of the teeth [periodontal disease] and have a foreign body or cancer present in the mouth). Dental disease—assessment of the mouth, performed under general anesthesia, with x-rays of the mouth (known as “intraoral radiographs”) and treatment, including cleaning and polishing the teeth and extraction of teeth with greater than 50% loss of supporting tissues (gum and bone) around the teeth (often multiple teeth are extracted when advanced periodontal disease is the cause of the bad breath (Brushing Your Pet’s Teeth). Cancer of the mouth—surgical debulking (removing as much of the tumor as possible) or removal; radiation therapy; other cancer therapies, based on type of cancer. Foreign body—removal of foreign body (may require anesthesia). Dermatologic causes—treatment for infection of the folds of the lips may include antibiotics, antibacterial shampoos, and possible surgery to remove some of the folded tissue. Dietary causes—prevent pet from eating malodorous foodstuffs (for example, keep pet away from garbage); prevent pet from eating bowel movement (for example, block off litter box so dog cannot get to cat feces; clean yard frequently). Medication is determined by the underlying cause of the bad breath (Brushing Your Pet’s Teeth). Topical treatment with zinc-ascorbate cysteine gel usually reduces bad breath within 30 minutes of application, because of the effect of cysteine on sulfur compounds in the mouth. Antibiotics are not indicated to treat bad breath (Brushing Your Pet’s Teeth); antibiotics are indicated in the treatment of infection of the lip folds and for cases of rhinitis and/or sinusitis, if bacterial infection is involved. Controlling the bacteria that cause infection of the gums and supporting tissues of the teeth (periodontal disease) helps control dental infections and accompanying bad breath; Doxirobe Gel (Pfizer) may be used in dogs with periodontal disease. Weekly application of OraVet (Merial), a plaque prevention gel has been shown to decrease plaque (the thin, “sticky” film that builds up on the teeth; composed of bacteria, white-blood cells, food particles, and components of saliva). The use of oral home-care products that contain metal ions, especially zinc, inhibits odor formation due to the affinity of the metal (zinc) ion to sulfur; zinc complexes with hydrogen sulfide to form insoluble zinc sulfide, decreasing the odor. Zinc ascorbate plus amino acid (Maxi/Guard Oral Cleansing Gel, Addison Biological Laboratory). Chlorhexidine used as a rinse or paste also helps control plaque (the thin, “sticky” film that builds up on the teeth), decreasing eventual odor; many dental home-care products containing chlorhexidine are available commercially. Bad breath or Brushing Your Pet’s Teeth is a sign; it is an offensive odor coming from the mouth. Bad breath (Brushing Your Pet’s Teeth) generally indicates an unhealthy mouth. Once the specific cause of the bad breath (Brushing Your Pet’s Teeth) is known, direct therapy at correcting the underlying cause. Ensure good oral health by professional and home dental care (such as brushing teeth) to decrease bad breath (Brushing Your Pet’s Teeth). Dental care is an important part of your dog and cat’s health care. Pet dental issues are some of the most common problems seen at Tri-County Animal Hospital. Both dogs and cats need routine dental care, and a good dental program will provide comfort and longevity to your pet’s life as well as make them more pleasant to be around. Dental disease is not just a cause of bad breath, but can lead to heart disease, kidney disease, liver disease and other problems. We suggest that you start caring for your pets teeth while he or she is a puppy or kitten so that your pet will become accustomed to regular, at home brushing. During your pet’s physical exams, we will give your pet a dental exam and will recommend professional dental cleanings or other dental treatments as needed. We will also offer advice on home dental care and give you options on how to achieve the best results. Brushing your pet’s teeth every day will help to reduce or eliminate plaque buildup. Plaque, which is an accumulation of bacteria, will eventually loosen and destroy the tooth and possibly lead to bone loss if left untreated. The infection under the gum line can also spread to the liver, kidneys and heart. It’s important to spend some time finding the right toothbrush for your dog or cat. You can use a child’s toothbrush, but it is recommended that you buy a special toothbrush for your pet. It will make brushing easier and will be worth the money. Be sure that the bristles are soft so they don’t damage the pet’s gums. Please choose the right sized brush (just make sure it’s’ not too big or too small for your pet’s mouth). Check that the handle is big enough for you to comfortably get a grip on the toothbrush. Also available, is the “Finger Toothbrush”. This is an Ideal beginner toothbrush to help you and your pet become comfortable with the tooth brushing experience. 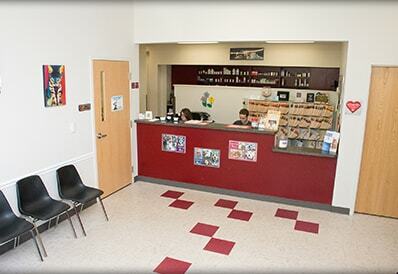 The staff at Tri-County Animal Hospital will be glad to help you select the best toothbrush for your pet. You cannot use human toothpaste on your dog. Rather, use a special high quality toothpaste with ingredients specially formulated for dogs. You need to spend some time choosing your toothpaste too. Cheaper brands might use ingredients that are harmful to your pet, and there are some common ingredients can make your pet sick. Read the labels carefully and check that the toothpaste does not contain salt, detergents or enzymes as these are dangerous for your pet. Feel free to stop by our office and we will be happy to recommend a pet toothpaste that is safe and effective for your pet’s proper dental hygiene. Brushing your pet’ teeth for the first time can be difficult; especially if they are not used to it. This can be avoided by starting when they are puppies or kittens – but if it’s too late for that don’t worry. The key is to be gentle, speak in a soft voice and do not force the pet. The key is to make it an enjoyable experience. Start from the back of the mouth and work your way forward in small circular motions. If your pet really does not want to allow you to brush his teeth without a fight, you may want to try the finger brush with a beef or chicken flavored toothpaste. Try rubbing his teeth so he gets used to the sensation as well as your fingers in his mouth. Speak encouragingly and softly. After a few patient weeks the pet should allow you to brush his teeth without any hassles. You should be brushing your pet’s teeth daily; but if you can’t manage that – once every second day should be fine. It’s important to stay consistent in order to avoid problems. 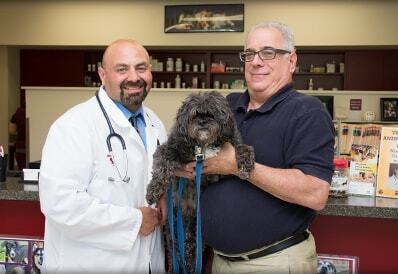 Please call us to schedule a dental exam with one of our veterinarians for your dog or cat, especially before starting a new dental care regime.